One of the great things for Aussie investors is that Australia as a nation is likely to revel in a lithium-powered future given its strong domestic endowment. Yet the country needs technology and expertise to make the most of its resources, particularly in Western Australia and potentially Queensland, where high grade resources could change the lithium game in this country. A company with big ambitions to provide the technology and expertise is Lithium Australia (ASX:LIT) with its proprietary extraction technologies including the halogen based SileachTM process and the caustic based LienaTM process. Patents have been applied for each process, and there are more in the pipeline. LIT recently made its first foray into Queensland’s lithium exploration and development sector in late July, lodging applications for ground prospective for lithium in Cape York as part of its business strategy to look Australia-wide for lithium deposits. 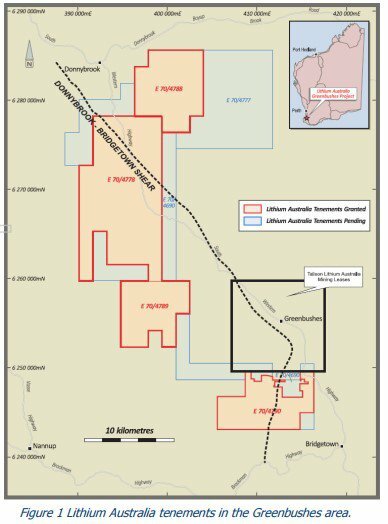 As part of this strategy, LIT has also recently acquired additional ground and three new prospects in WA in the prospective Gascoyne region after it completed a takeover of the privately owned Lithophile Pty Ltd. 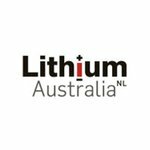 In effect LIT has doubled its Greenbushes footprint within the most lithium-prolific area in Australia already producing 40% of global lithium supply, and doing so from hard rock. Meanwhile, through its joint venture with Cazaly Resources, known as GLiA, the JV has acquired the rights to pegmatite deposits in the Widgiemooltha pegmatite field, which is just 25km from the significant Mount Marion Project owned by the $219M capped Neometals Ltd with its [email protected]% Li2O resource. That’s nearology at its finest. 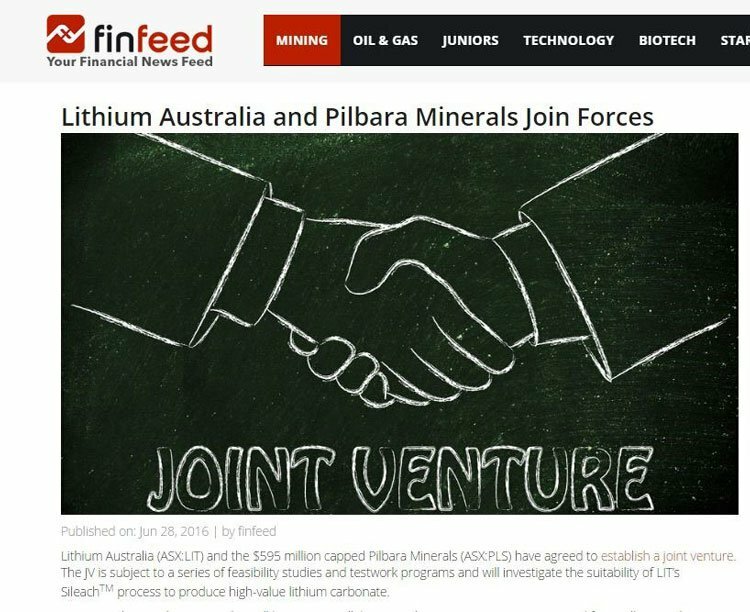 But let’s not forget its joint venture with the $626M mining giant Pilbara Minerals to provide technology that may expand the amount of lithium extracted by Pilbara clients. The JV is still in its early stages and should not be the sole influencer in any investment decision with regard to this stock. Please seek professional financial advice for further information. The final piece of LIT’s current puzzle could be its potential JV with LiGeneration, for which LIT will supply technical expertise. LiGeneration is planning an ASX IPO before the end of the year and LIT shareholders should be pleased to know that they will be offered a priority entitlement to IPO share subscriptions in the LiGeneration float if and when that occurs. LIT is a company which is stone-cold serious about transmuting bulk deposits of waste material, into valuable JORC Resources — done through wielding new proprietary technologies that are energy-efficient and clean — just what the future needs. Out of the 60+ lithium companies participating in the lithium boom, we think it’s a good idea to have some exposure to one that has two cards to play: one in technology and the other in Resources. LIT fits that bill nicely, with over a dozen various projects under its belt dotted around Australia and a cutting-edge SileachTM and LienaTM processes both capable of extracting lithium from waste rocks. By using LIT’s proprietary low-energy processes to produce lithium carbonate, or hydroxide from hard rock lithium ores, which conventionally require energy intensive roasting process, LIT could be hitting two very profitable birds with one very timely technology solution. Undercut the entire globe in the production of high-grade, battery-compatible lithium. The SileachTM and LienaTM are LIT’s patented avenues to enabling the production of lithium on a scale that can match the gluttonous battery-manufacturers such as Panasonic, and their end-users, Tesla and car buyers. As we’ve said, LIT not only has a technology card, but also a Resource card to play too. Regular readers would have been following the story since we first called the company back in June 2015: ASX Company to Dominate Global Lithium Market? It has been a big 14 months for LIT since and they have been as high as 520% since those early days – and that’s without counting the two bonus share issues they have had during that period. The second bonus will be listed soon and should bring the aggregate return to shareholders to around 1000%. Shown in red, is LIT — rising 520% (without bonuses) since June 2015. Meanwhile, Pilbara Minerals (ASX:PLS), has risen by over 1,100%. 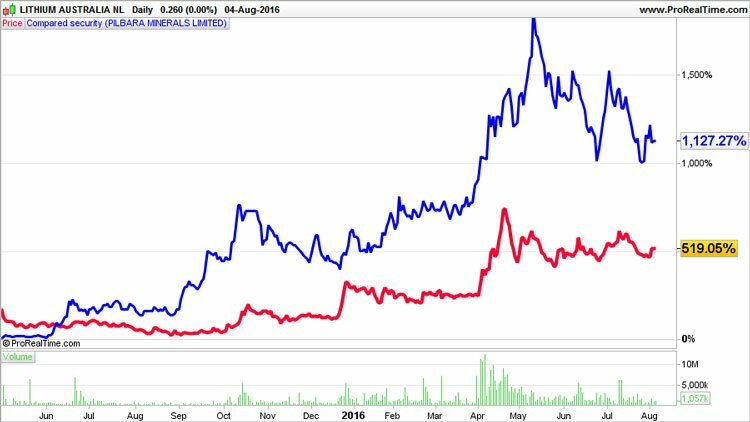 Here is how LIT’s share price has performed over the past year, set against a backdrop of rising lithium prices. It is substantial growth and it is catching the eye of other, bigger players. LIT and PLS recently agreed to a joint-venture, known as the JVS, to maximise their impact on the lithium industry. LIT’s independently verified test results of the SileachTM process show an extraction rate of 92% lithium concentrate in 4 hours , which can then be processed into a high quality lithium carbonate. At such a high extraction rate and with LIT by its side, PLS could be able to supply lithium to the entire Asian market given the proximity of PLS’ lithium deposit to the rest of the Asia Pacific. In order to best position itself for the upcoming Asian battery conveyor belt, PLS is attempting to fast-track development of its Pilgangoora project, the second-largest deposit of tantalite and lithium-bearing spodumene. 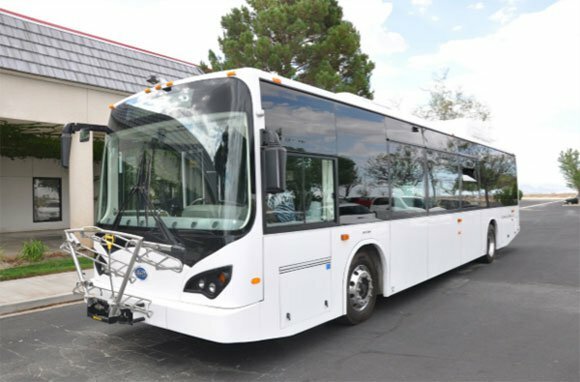 PLS intends to commence production as soon as December 2017 and has already signed a sales agreement with China’s General Lithium Corp.
For LIT, being so close to the sales frontline and supplying the technology that can enable a power-surge in lithium supply, just as lithium demand is exploding is a critical competitive edge in relation to other lithium hopefuls. The agreement with PLS means initial pilot testing will take place at the ANSTO Minerals facility in NSW, and as long as extraction results hold up (as they have been so far), LIT and PLS may decide to construct a large-scale pilot plant in Port Hedland. This is no guarantee to occur as yet, so don’t just go on this potentiality as the basis of an investment decision, it is always wise to seek professional financial advice when considering this and any other stock for your portfolio. Data generated from operating the large-scale pilot plant will be used for feasibility investigations into the construction of a full-scale commercial SileachTM processing plant. In the event of a positive outcome of the definitive feasibility study, the SJV will advance to commercial production, including finance and construction, on a 50/50 basis. 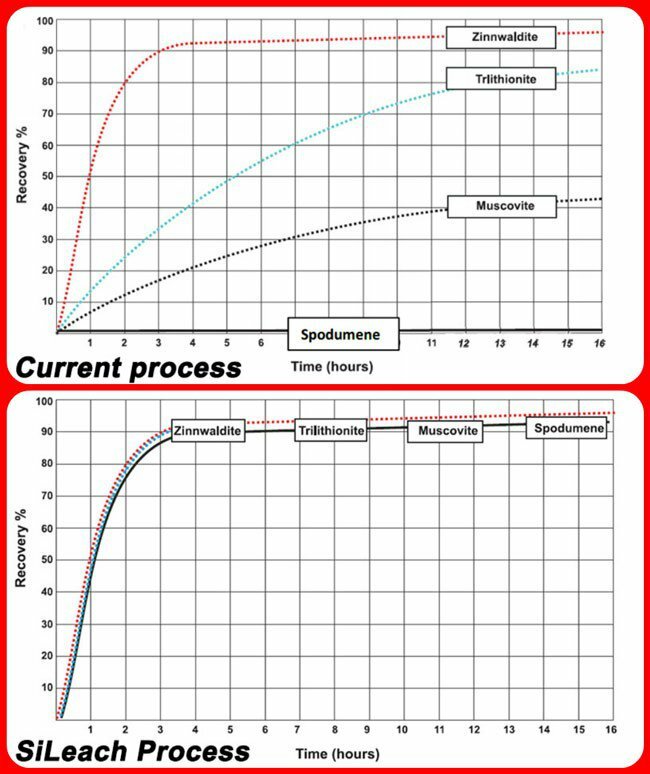 As you can see the SiLeachTM process has better recovery rates than current extraction methods, with 90% recovery rates compared to zero at its lowest ebb for current conventional methods. Spodumene, the main hard rock lithium ore, simply can’t be leached by conventional methods, without roasting first – but SileachTM does the job, and does it quickly. LIT is yet to comment on the performance of LienaTM but there is little doubt that, if successful, processing in an alkaline medium will provide significant advantages under many circumstances. LIT is currently working with ANSTO Minerals, a division of the Australian Nuclear Science &Technology Organisation (ANSTO) to refine the process flow-sheet for both SileachTM and LienaTM. design criteria for the Stage 2 pilot plant. consume feed of up to 400,000 tonnes per annum of concentrates. The successful development of a commercial process to recover lithium from spodumene would place LIT at the leading edge of the lithium industry and it appears, with the support of ANSTO, this may well be achieved. The company is well positioned within a strong lithium market, developing both processing technology that is potentially applicable on a global scale, and growing a portfolio of lithium exploration projects. With a cutting-edge technology well on its way to impressing the lithium peloton, LIT is also taking care of building up traditional JORC resources in various global hot-spots, that may prove handy once battery manufacturers turn on the production taps. In early July, LIT doubled its Greenbushes footprint by receiving grants for 4 more licenses within the most lithium-prolific area in Australia – already producing 40% of global hard-rock lithium supply. Mapped out below are LIT’s granted tenements, shown in red, in addition to pending grants shown in blue. Not stopping there, LIT has also added acreage in the Gascoyne region courtesy of an opportunistic pick-up of Lithofile Ltd, a private company. The deal sees LIT obtain 4 licenses 750km north of Perth, close to some existing LIT assets. Close to Ravensthorpe and the existing Mt. Cattlin lithium mine, LIT maintains a host of tenements with high-grade lithium mineralisation confirmed in assay results. 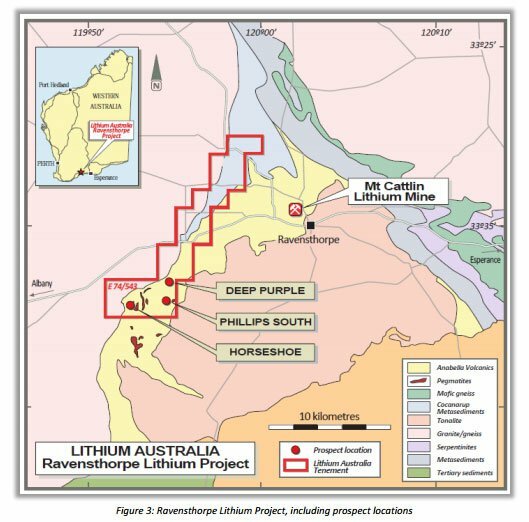 LIT fieldwork has established an exploration target at the Horseshoe prospect of 900,000 tonnes at a grade of 1% Li2O. Significant mineralisation is confirmed at Deep Purple and Phillip South from work done to date. With its technology and projects angles safely tucked-up in bed, LIT is also pursuing a potentially blockbuster move into spinning off another lithium company called LiGeneration — but this time, with a Canadian twist. The idea is for LIT to form a Canadian alliance with LiGeneration (LiG). LIT has provided seed capital for LiGeneration which is planning an ASX IPO before the end of the year. LIT shareholders will be offered a priority entitlement to IPO share subscriptions in the LiGeneration float. LIT will be a significant shareholder and provide technical and administrative support to LiGeneration throughout, so the hope is for some added nectar for early pollen collectors. LiGeneration’s principle assets are lithium pegmatites in Quebec, Canada, where LiG owns a 100% interest in the Whabouchi Southwest and Southeast lithium projects covering 14,000ha. Importantly for LIT, the adjacent area that’s neighbouring Whabouchi contains the world-class Nemaska Lithium Whabouchi Mine which boasts the second largest and richest global lithium reserve . If that wasn’t enough, LiG also owns 100% of the Wells-Lacourciere lithium project which has undergone historical exploration consisting of trenching and bulk sampling returning assay results of between 2.87% Li20 and 4.0% Li20. Unless you’ve been living under a rock these past 12 months, you’ll be fully aware of the current lithium boom. To give you an update of what the various analysts and macro researchers think, here is a rundown. First on the list is Deutsche Bank, who waded into the lithium debate in May with a report titled, ‘Welcome to a Lithium-ion Age’ — the fact that investment banks are now publishing 179-page research documents on lithium is already a sign that institutional investors are lining up and taking positions. Lithium battery costs are visibly falling which is helping to encourage battery manufacturers to advance heavy-handed production schedules built on the premise that EV cars, domestic energy storage and glitzy gadgets will all require an infusion of contentious high-grade lithium production over the next generation. Varying estimates project around 5 million new energy vehicles being built in China by 2020 and the conversion of millions of electric bikes to use lithium-ion batteries. Chinese EV manufacturers could potentially end up selling more vehicles than the likes of Tesla, simply because of the raw numbers. China has around 1.2 billion people with a middle-class that outnumbers the entire population of the US, Canada and Mexico put together. The next steps on the LIT timeline are focused on SiLeachTM first and foremost, although exploration progress at its portfolio of projects is also due over the coming few months. Deciding whether to proceed to a continuous, site-based pilot plant (Q1 2017). Any one of these milestones could generate a price-sensitive jolt for LIT — as if it needs one with all the lithium-powered excitement translating into higher valuations for many different lithium plays right now. Of course this is speculation and not guaranteed to occur, so don’t base your investment decision on this fact alone. Seek professional financial advice for further information. LIT’s goal is to be in the lowest 25% when it comes to lithium carbonate production costs — and have the available capacity to supply the growing lithium demand schedule almost overnight if need be, courtesy of its proprietary SileachTM and LienaTM technologies. SileachTM still has some lab work and feasibility testing to navigate, but with a 92% recovery rate already being hit, what’s to say LIT metallurgists can’t raise that level even higher? There is an enormous amount of potential for any technology that can cut Tesla’s corner to producing over 1 million electric cars in the next few years, without including Asia’s production that’s likely to be dominated by Chinese rivals such as BYD. SileachTM can lower the cost of production and raise output while reducing the energy it takes to produce the final product. That’s the kind of trifecta we like to see here at The Next Mining Boom, just as the commodities cycle turns around and efficiently robust juniors begin to cast twinkles in the eyes of plump majors. With a hatful of its own projects littered across Australia, a joint venture in Mexico, in tandem withits promising SileachTM and LienaTM technologies in tow, LIT is actively transmuting science fiction into scientific fact, hopefully for the benefit of its astute shareholders.